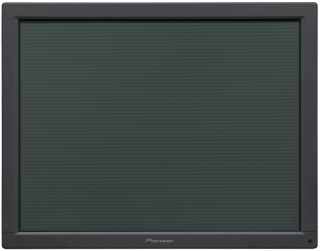 Pioneer PDPV402 4:3 Plasma 40"
The PDP-V402’s enhanced drive power efficiency translates into 130% brighter on-screen video images than the previous model. Employment of black stripe panel and improved filter results in improved contrast in bright locations and clearer color expression. 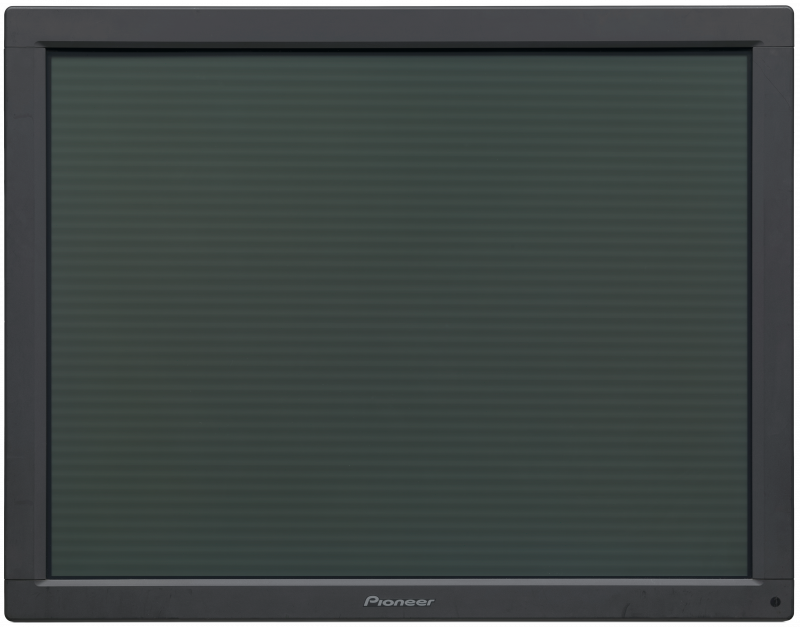 The PDP-V402 clearly displays video signals, Y-C (s-vhs), RGB and VGA (640 x 480 pixel) PC signals. The PDP-V402 employs the industry standard 4 : 3 aspect ratio, which allows full video images to be displayed without the need for editing or re-shooting. The 4:3 aspect ratio is extremely important when using material that for whatever reason cannot be stretched or distorted.